Okay, so I'm really not starting over, but the lyrics to that song are playing in my mind. I didn't make the cut yet of the 50 semi-finalists on Amazon Studios, so now I'm asking God: What direction should I go? What to do next? Thanks to Him I made $50k in 2010 -- and I have to stop and say wow, seeing as though I used to only make $12k per year from blogging online. My income is increasing. But during 2010, I forgot some of the lessons learned when I took a "How to Get Out of Debt and Into Praise" class at church, wherein I cut up my "fall back" credit card and stopped using it. In 2010 I kinda fell for the "wow you've got such good credit, I rarely see a pre-approved offer for a Chase Business Visa card" line and took the plunge. 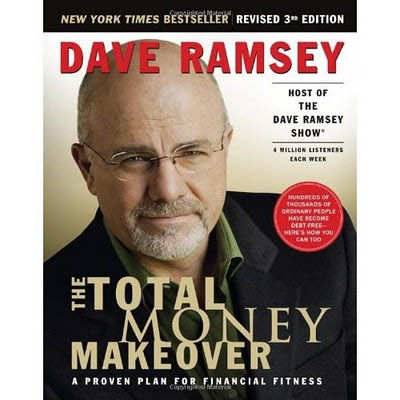 Months later and $10k more in debt, I'm now researching The Total Money Makeover: A Proven Plan for Financial Fitness by Dave Ramsey and figuring out how to be more responsible. I didn't need to be in this position again, stressing over getting together the funds to pay my taxes by April 15th. Thank God that He always brings a miracle to help taxes get paid in full, and for teaching me that I can just sock away at least 29% of my funds with everything that comes into my accounts as I get them thru the year. But I still hear Him telling me that I'll be okay -- that tithing is like storing up funds, and that He's got me, just like always. This turnaround is a good thing. It's helping me examine why I went all buck-wild in spending last year. Not all of it was bad stuff related to my shopping habit at Target and my penchant for new shoes and sweaters. Some of it helped my dad and other folks. Yet it is making me get down to any feelings of discontent that brought on the shopping splurges, and how to deal with them instead of mask them thru spending recklessly. In it, I learned about Pat, who made over $23,000 in December 2010 alone. I subscribed to his blog and downloaded his free ebook about killer ebooks. For now I'm setting aside some of the jaded views that I've developed from some of the programs I've seen online, or guys I've heard about that go to those blogging conventions and brag about how much money they make off products that are no good. I'm setting that aside and looking at this whole prosperity game afresh. That's where I love what Jaime of Eventual Millionaire has written honestly about paying off $70,000 worth of debt and her transparent income reports. As we start off 2011, I pray for prosperity and wisdom and direction and good Godly goals attained. Both their stories are truly inspirational and they show me that there is a lot that I need to learn. Thanks for highlighting them. Once again, a very insightful article. So yes, I subscribed to Pat's newsletter, can't wait to read the ebook too. There must be a method to all of this.